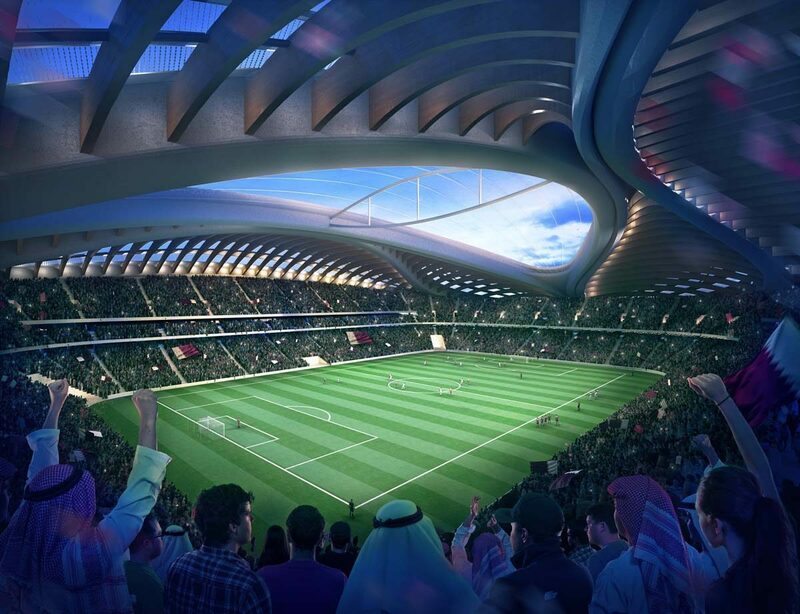 An Italian firm has secured a multi-billion riyal contract to build the Al Bayt Al Khor stadium for the Qatar World Cup in 2022. Salini Impregilo Group, which has a joint venture with Qatar-based Galfar Al Misnad and the Italian firm Cimolai, has signed a QR3.11 billion (€770 million) contract for the construction, operation and maintenance of the stadium in Al Khor, the company announced yesterday in a statement on its website. Awarded by Aspire Zone Foundation, the contract includes €716 million (QR2.89 billion) for construction and €53 million (QR214 million) for operation and maintenance. The 70,000-seater stadium, which will have an area of around 200,000 square meters, will be completed by September 2018, the firm added. Salini Impregilo is working on two other major projects in Qatar. In 2013, it announced it had won the bid for the design and build of Qatar Rail’s Red Line North metro project, worth QR8.4 billion. The firm is also working for public works authority Ashghal on the construction of a four-year hydraulic project in Abu Hamour. 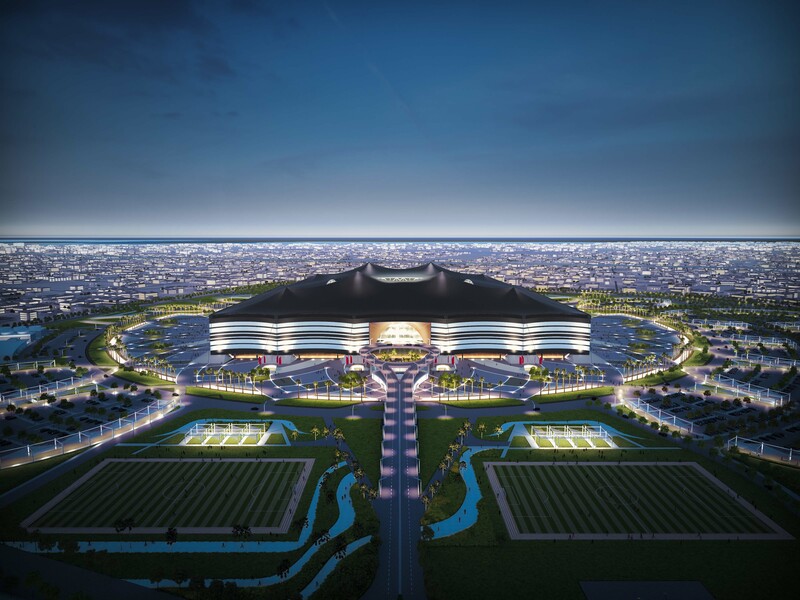 The design for the stadium was revealed just over a year ago by Qatar’s World Cup organizing body, the Supreme Committee for Delivery & Legacy (SCDL). When finished, the stadium will resemble a traditional tent used by nomads around the region. Al Bayt, meaning “the house,” is modeled on the Bayt Al Sha’ar black and white tent. For those passing through the desert, the presence of this tent symbolizes hospitality. The Al Bayt stadium’s exterior will be covered in black fabric, with the traditional red and white fabric on the interior, the Supreme Committee said at the time of the design launch – although it added that tests were ongoing to ensure the fabric would be suitable for the climate and would be able to be cleaned. Designed to be modular, the top tier of seats in the stadium will be removed after the World Cup and donated to developing countries lacking sports infrastructure, reducing the seating capacity to 32,000. It will be situated at the heart of a 1 million square meter complex that will also include a hospital, a mall, and a park which has been designed to enhance the existing facilities in the area. At the time of the design reveal, Aspire Zone Foundation President Hilal Al-Kuwari said it was important the stadium had a local legacy beyond 2022. “It’s not all about the stadium, but an area that attracts people and provide local residents of Al Khor and Al Thakhira communities with facilities,” he said. Qatar has confirmed the sites of eight stadium so far – the minimum number it is required to have to host the 64 World Cup matches, according to FIFA rules. In addition to the venue in Al Khor, there will be arenas in Al Wakrah, Lusail city, Al Rayyan, Khalifa Stadium, Qatar Foundation, Qatar Sports Club in Dafna/West Bay and on a site near Hamad International Airport. Al Wakrah was the first stadium under construction, while work is also underway on the venue at QF. Meanwhile, reconstruction efforts continue at Khalifa Stadium and the facility in Al Rayyan. 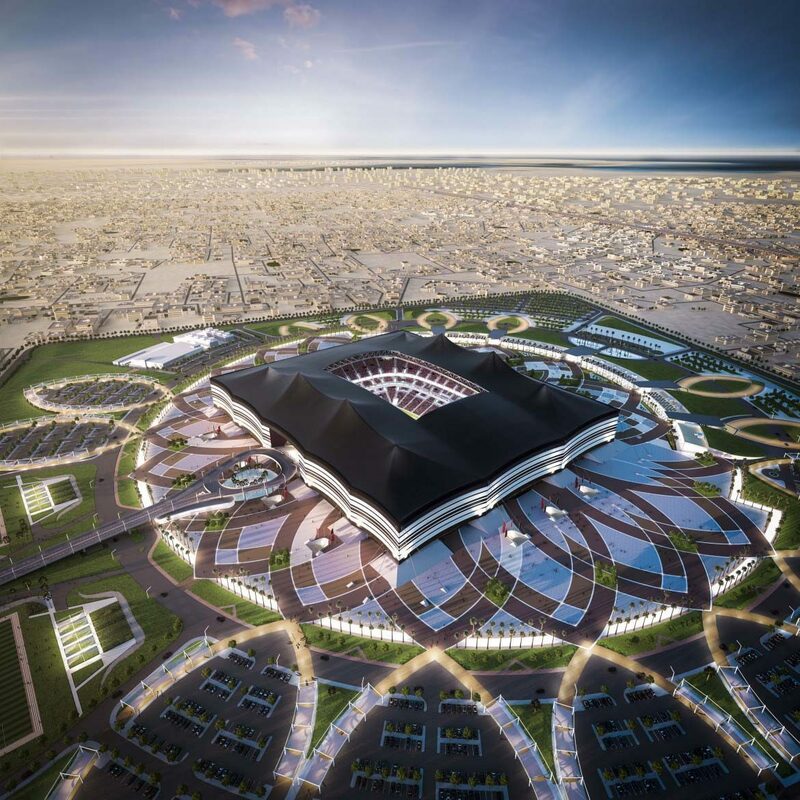 British firm Fosters + Partners won the design contest for the 80,000 seater flagship arena at Lusail city, which will host the tournament’s opening ceremony and final match, the SC confirmed in March this year. Details of the design have yet to be publicly revealed. This article was edited to correctly reflect that the joint venture is with Qatar company Galfar Al Misnad, and not Galfar in Oman, as previously stated.